First of all these guys have come out with some good stuff. I love AG's "energy bill". BUT with this DVD you're basically only buying their presentation. Something that everyone should be trying to be original at anyways. No new methods or anything like that. It's exactly what you would expect from the trailers. 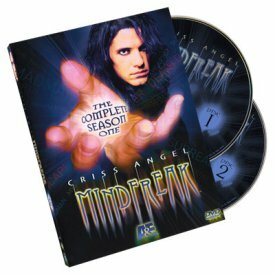 Probably an okay purchase for someone just starting out or someone who knows nothing about mentalism. But there's way better options out there for a serious student.